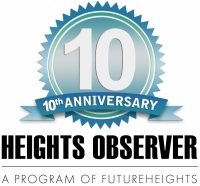 Heights Observer’s Volunteer Match column lists opportunities for residents to lend their time to worthy organizations in and around the Heights. Submit your organization’s volunteer needs by calling the FutureHeights office at 216-320-1423 or e-mailing sbasu@futureheights.org. The CAMHP Foundation, based in Cleveland Heights, and organized and run by women of color, is a grassroots movement working to increase community well-being by bringing social capital and opportunities to the South Collinwood neighborhood. The foundation has bought five vacant and neglected lots on E. 154th and E. 157th streets that it plans to rehabilitate into community gardens. These gardens will be used to combat the food desert and lack of green space that plagues South Collinwood and other neighborhoods, and to provide vocational training and other opportunities to the area. The first of the gardens to break ground, at 782 E. 154th St., will be home to lavender, blackberries, eight raised garden beds, and beehives, and will be a model for the other four. The foundation plans to have all five gardens completed and ready for the 2019 grow season. The CAMHP Foundation is looking for volunteers and donations of plants, tools and other gardening supplies. For more information, or to get involved, visit www camhpfoundation.org or e-mail emiliana@camhpfoundation.org. 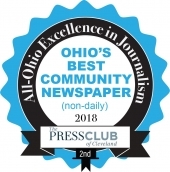 Kim Sergio Inglis is editor-in-chief of the Heights Observer, and a Cuyahoga County master gardener volunteer.